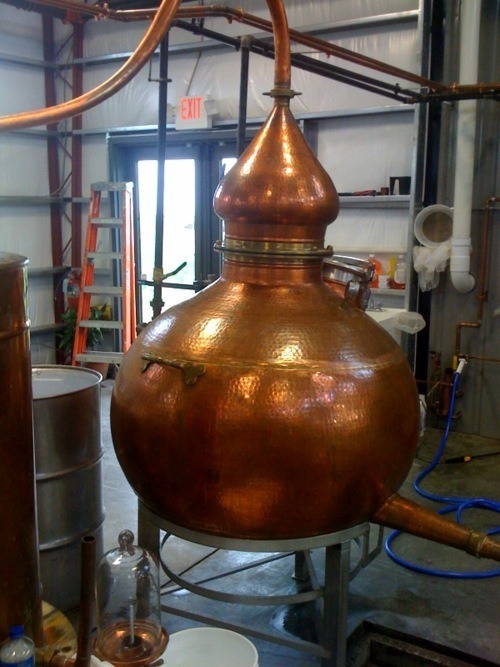 In the past year, six new distilleries have joined the Kentucky Distillers’ Association. All of them are micro-distilleries, or craft distillers, meaning they keep fewer than 25,000 barrels of spirits in inventory at any one time. 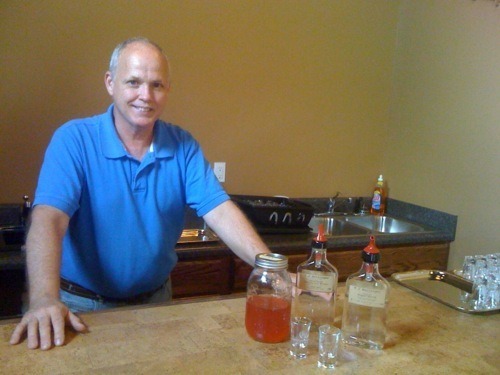 A couple of weekends ago, I visited one of those six — Limestone Branch Distillery in Lebanon, Ky., which brothers Steve and Paul Beam, descendants of the Beam bourbon dynasty, opened in late 2011. Walking into the small aluminum building, I got a definite Sonoma Valley vibe. Half of the building is taken up by the distilling operation, which is dominated by a beautiful still made in Spain; the other half is devoted to a well-stocked gift shop and a tasting room with a bar that Steve Beam (in photos above) built using staves from bourbon barrels. The vibe was not my imagination. The Beams visited small wineries in Sonoma and Napa Valley before opening their distillery. They are in the process of landscaping the grounds and adding picnic tables where visitors can linger, just as they do at small wineries. 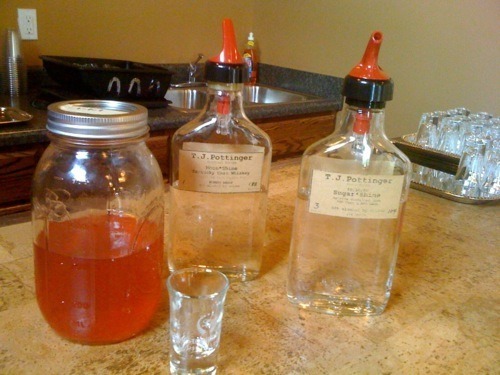 At the time of my visit, Limestone Branch’s first two products – T.J. Pottinger Corn Whiskey and T.J. Pottinger Sugar Shine – had been for sale for about three weeks. 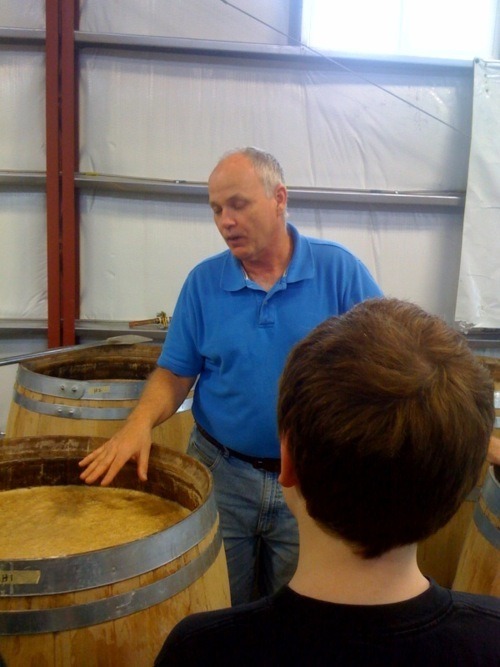 They’ll put their first bourbon in the barrel at 2 p.m. Saturday. Stop by and say hello! 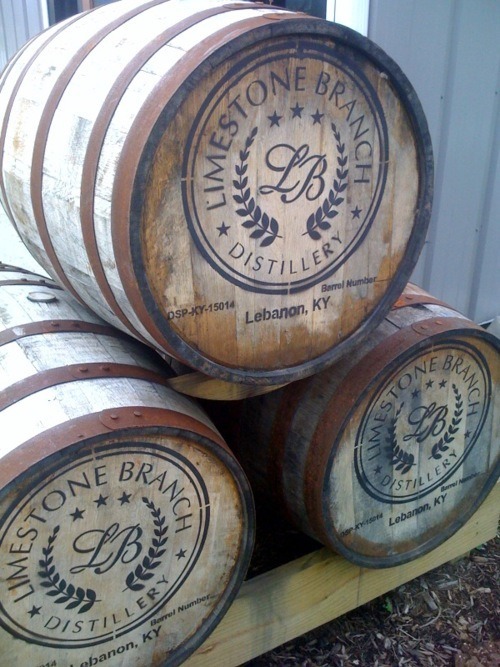 Limestone Branch Distillery: 1280 Veterans Memorial Parkway, Lebanon, Ky. 10 a.m. to 5 p.m. Monday through Saturday; 1 to 5 p.m. Sunday. Call (270) 699-9004, visit http://limestonebranch.com/ or follow them on Facebook.